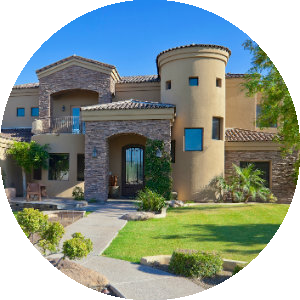 Search all Gilbert, Arizona homes & real estate listings below. This is a perfect time to consider Gilbert when looking at homes for sale. The town is currently the most populous incorporated municipality in the US today. Gilbert is served by the Santan Freeway portion of Loop 202 and US-60; leading out to the metro area. There is an abundance of parks, waterways and outdoor activities for people with an active lifestyle. The Val Vista Lakes waterfront is the place to go for watersports or just tranquil relaxation. Gilbert was recognized in 2010 as the "36th Best Place to Live in the Nation" and continues to receive awards for excellence in a number of civic areas. The town has received recognition in the areas of education and agriculture. Gilbert is an area where the real estate market is rebounding successfully. New home buyers are looking for great deals and they can be found here in town. Gilbert homes for sale include single family homes, condos and townhouses at competitive rates. Many of the communities are up-scale and well apportioned with spacious homes and well-manicured lawns. The town of Gilbert is known for its safe streets with very low crime. GreatSchools.org has named Gilbert made it to the nation's "top places to live and learn". There are available lots for building custom homes, new developments under construction and existing inventory as well. The town regularly receives "high satisfaction rates" from citizen’s surveys each year. That is why more families are choosing Gilbert to make their home in the metropolitan area. 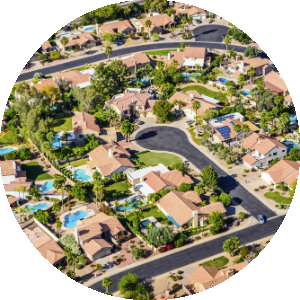 For information about Gilbert properties for sale or to schedule a private home showing, contact your Gilbert real estate experts today. 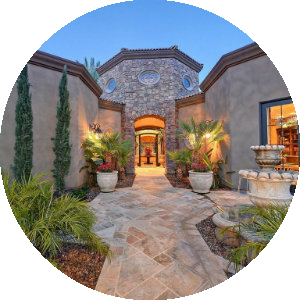 Search the #1 site for Gilbert Real Estate listings.